Date of Trissur Pooram 2015 is on Wednesday 29th April 2015. Every year the malayalam channel dd malayalam showing the live coverage of trissur pooram. You can celebrate the pooram with the live coverage through your favorite malayalam channel dd4. not only dd malayalam, all the major channels showing the live coverage of Pooram 2015. Pooram is conducting every year at vadakkunnathan temple in thrissur. Date of pooram is picking from the malayalam calender, medam. the day pooram from medam is choosing for thrissur pooram. Sakthan Thampuran, on of the king who ruled kerala created this cultural festival. Kudamatam, Ilanjithara Melam, Fireworks are included in the pooram. This is one of the biggest temple festival in kerala and people from all religions are celebrating pooram. participants of trissur pooram are paramekkavu bagavathi temple and thiruvambadi sri krishna temple. Don’t miss the live telecast of thrissur pooram 2015 on dd malayalam channel. 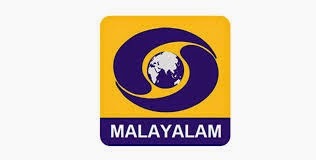 you can watch dd malayalam live and enjoy the coverage of thrissur pooram 2015 live. we will update the live streaming links of thrissur pooram 2015 here. you can get the free online streaming of trisoor pooram 2015 through all the malayalam channels official websites. they will air the live streaming of thrissur pooram 2015 on 29th april 2015.